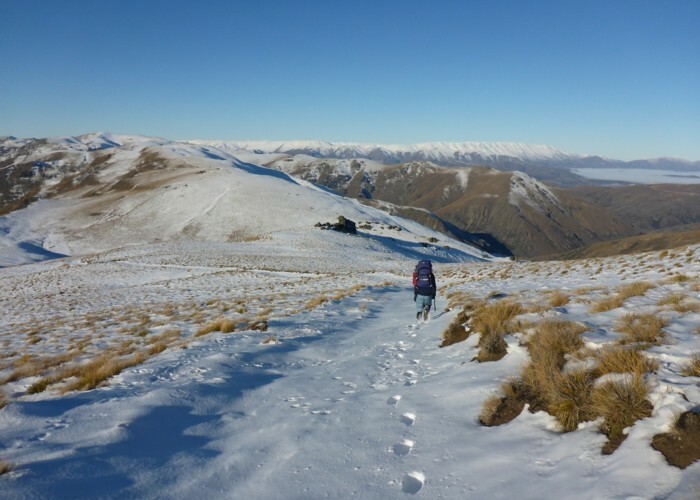 Heading along the ridge from Breast Hill toward Stodys Hut (Hawea Conservation Area) in the late afternoon. Photo taken early June 2018. 32 views in the past year (4 per month).